Former Bowling Green Hot Rods hurler Blake Snell was named the American League Cy Young Award winner on Wednesday, becoming only the second Tampa Bay Rays pitcher to receive the honor. Snell won with 169 total points, 15 more than runner-up Justin Verlander of the Houston Astros. Snell received 17 first-place votes, 11 second-place votes, and two third-place votes. Verlander got 13 first-place votes, 13 second-place votes, three third-place votes, and one fourth-place vote. Cleveland Indians ace Corey Kluber — a former Fort Wayne Wizards pitcher — finished a distant third in the voting with 71 points. Snell went 21-5 with a 1.89 ERA, 221 strikeouts and 64 walks in 180.2 innings/31 starts for the Rays this year. Opponents batted only .176 against the southpaw. 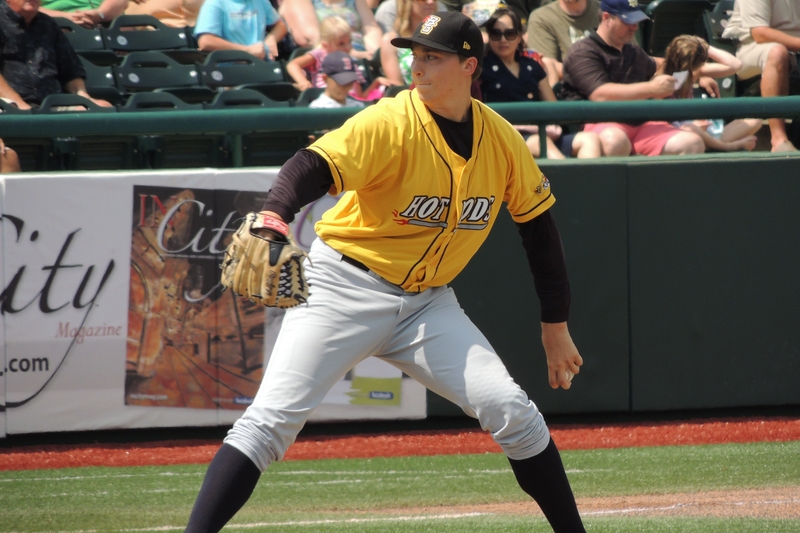 Snell pitched for the Hot Rods in 2013 and 2014, making 31 starts in the Midwest League. He went 7-11 with a 3.55 ERA, 148 strikeouts and 92 walks in 139.1 innings. Kluber went 20-7 with a 2.89 ERA, 222 strikeouts and 34 walks in 215 innings/33 starts for the Tribe this year. He pitched for Fort Wayne in 2008, going 4-3 with a 3.21 ERA, 72 strikeouts and 13 walks in 56 innings/10 starts in the MWL. This entry was posted in Bowling Green Hot Rods, Fort Wayne TinCaps, Midwest League. Bookmark the permalink.